The Vietnam Bank for Agriculture and Rural Development (Agribank) targets a loan growth of 18 percent and a bad debt rate below 3 percent in 2016. The bank which lends mainly to the agriculture sector – expects agri-business to continue to count for the majority, or approximately 70 percent, of its total outstanding loan balance. It is also set to raise revenue from its deposits and service fees: by 11-13 percent, and 17 percent, respectively. 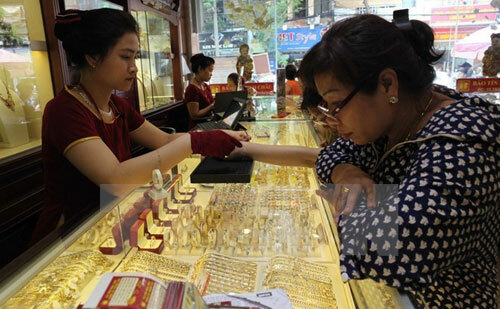 Overall, pre-tax profit is expected to reach 4 trillion VND (178 million USD) this year. Additionally, the State-owned bank plans to focus on improving its performance and competitiveness, expanding retail banking and offering higher-quality services, in a bid to sustain its current growth. Deposits at Agribank were pegged at more than 804 trillion VND in 2015, an increase of 16.5 percent year on year, surpassing forcasts, Agribank General Director Tiet Van Thanh said. It provided 670 trillion VND in loans last year, about 71 percent of which were for agriculture while the bad debt rate was reduced to 2.01 percent.